I am Canadian. I live in the woods. But I have never, and will never make peace with bugs. You’ve heard me say before it’s a cruel joke that when the weather gets nice, the bugs get brutal. First it’s blackflies, then mosquitoes, and then the scumbugs of the insect world, the dreaded deer fly. When it comes to bugs, I choose to go on the offensive. Bug zappers are an effective weapon for mosquitoes, but not for deer and horse flies. No siree, when it comes deer flies, you have to unleash summer’s secret weapon: the deer fly patch. 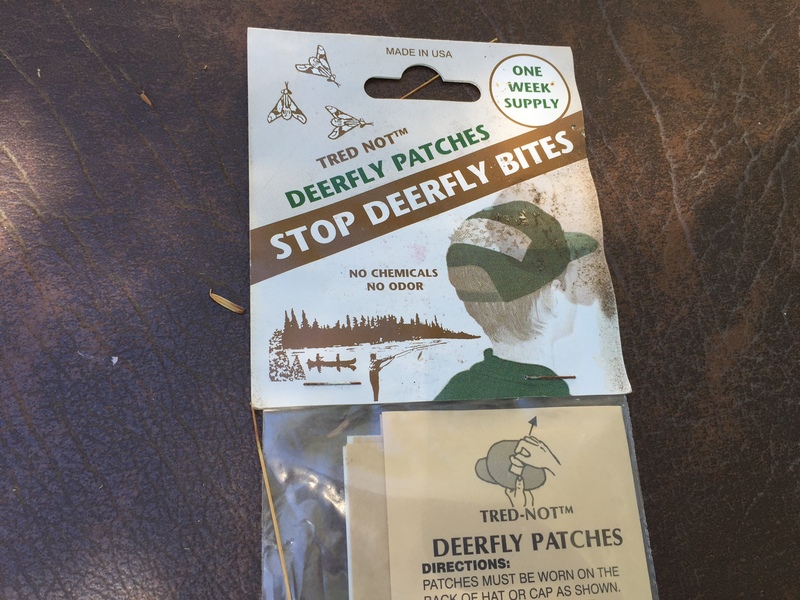 If you’ve never used a deer fly patch before, let me educate you. It’s a sticky strip of tape that you attach to the back of your hat. When the deer fly lands on your hat, bam, you got him! He sticks to the strip like glue. You can even watch him trying to lift his spindly legs and see the look of panic in his beady little eyes when he knows his buzzing days are over. On our nightly walks, we make it a contest—who can capture the most deer flies with one strip. 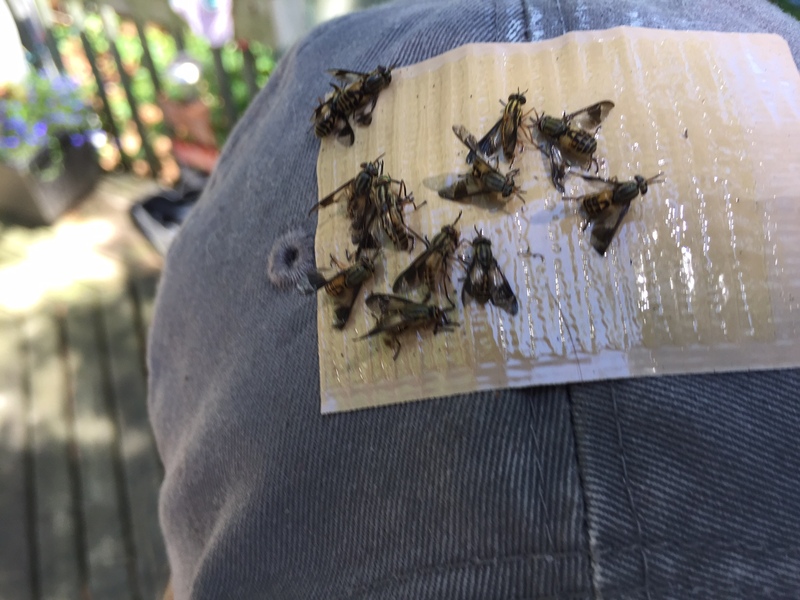 I beat Clare this week with lucky thirteen, but there was one time when I came back with 23 deer flies on my hat after a long canoe trip. That’s my all-time record. This week’s #HappyAct is to get a deer fly patch, or share your favourite weapon of bug destruction. I’m curious whether anyone has tried those high end bug zappers at Canadian Tire. Do they work? We need to stick together and share intelligence in the war against bugs. Leave a comment.